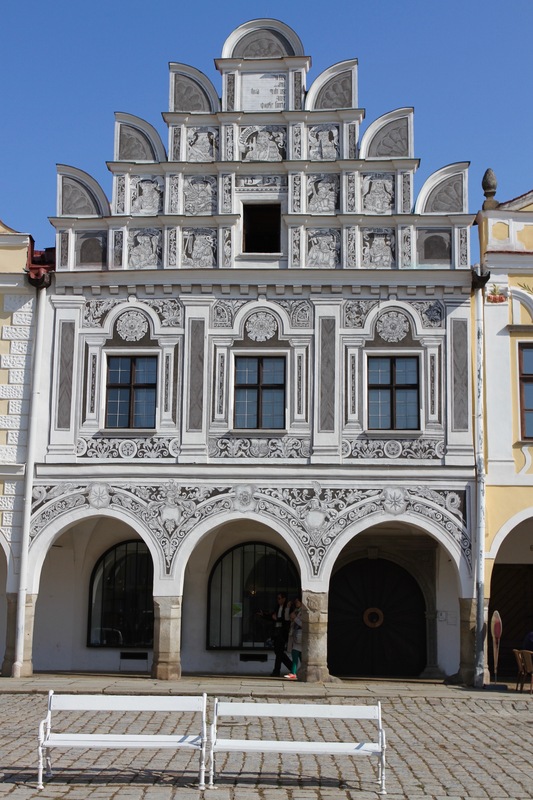 In 1530 disaster struck the beautiful small town of Telc. A terrible fire swept through the wooden houses reducing the early medieval town to ashes. 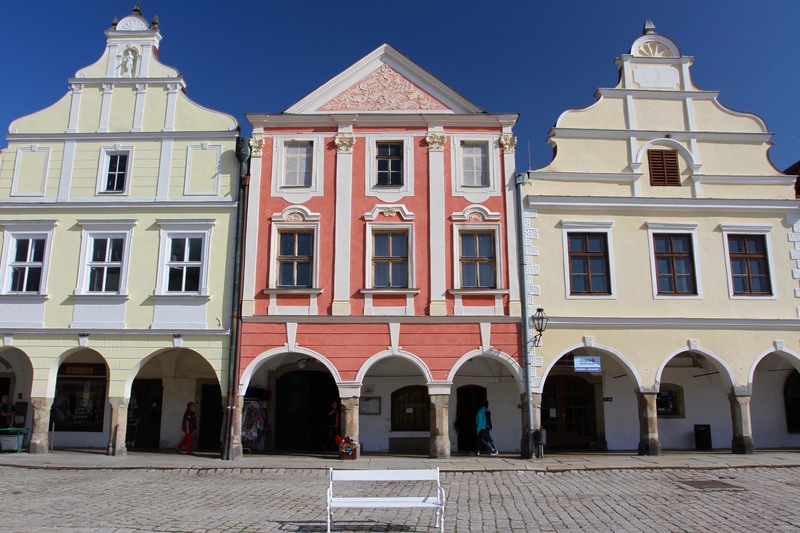 Today, the triangular market square is ringed by colourful Renaissance and Baroque merchants houses, and is so perfectly preserved that it made the UNESCO World Heritage List in 1992. 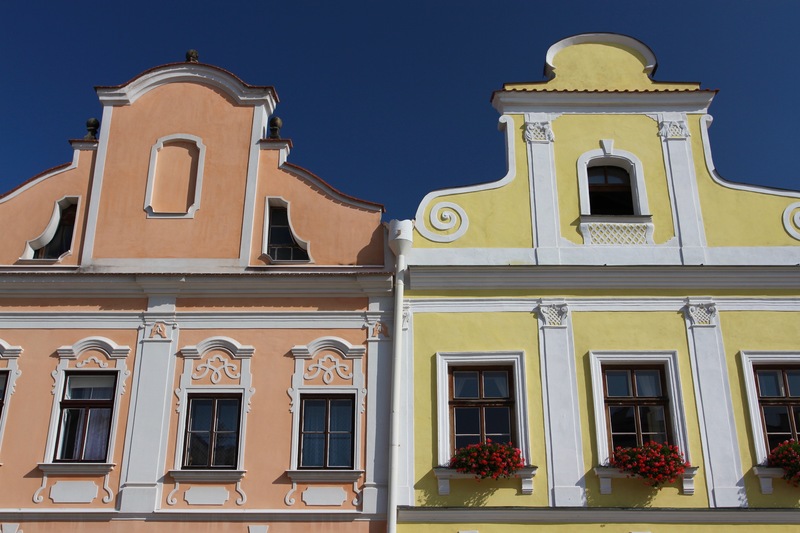 The pastel pink, blue and yellow houses, rubbing shoulders with the sgraffito decorated facades of 16th century buildings, combine to make the square utterly unique. Well, unique in a way that looks a bit Dutch or Belgian. The fire that destroyed the town also damaged the castle that stands at the far end of the square. 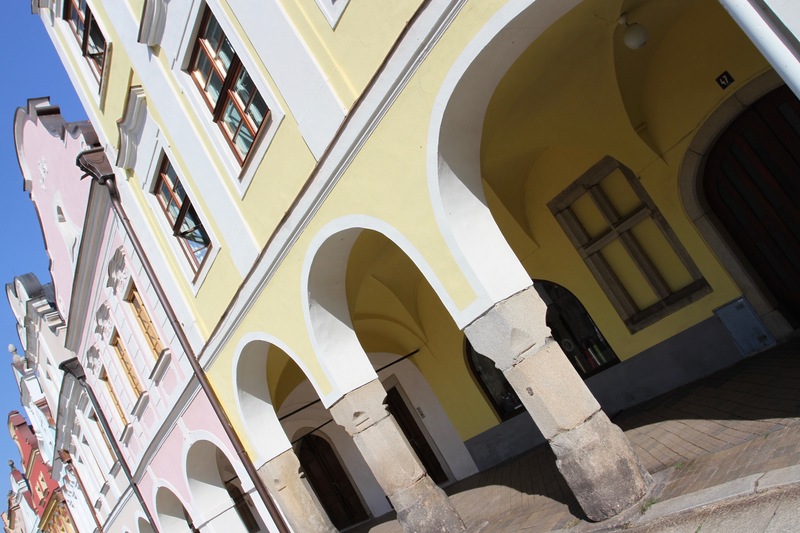 It would take nearly two decades for reconstruction work to begin on the orders of the town’s new ruler, Zacharias of Hradec (after whom the square is named). 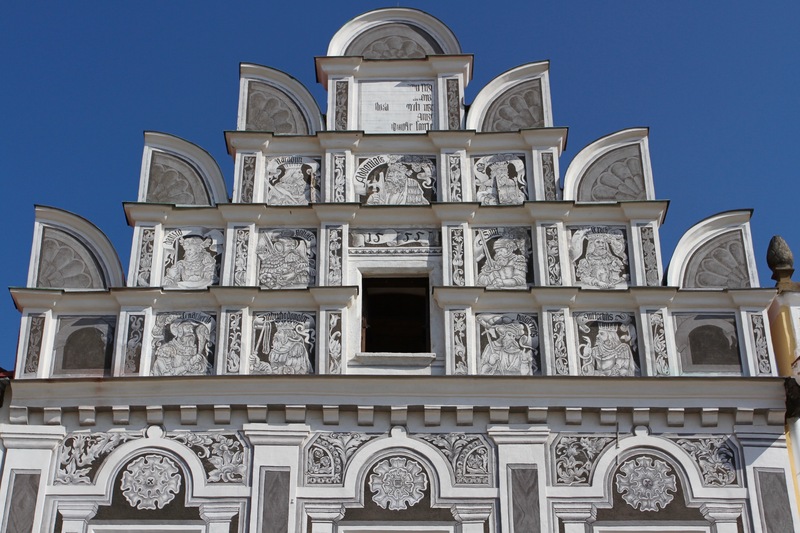 Following a visit to Italy, he hired Italian craftsmen to rebuild the castle in Renaissance style, and where the local lord went the townsfolk followed. The houses around the square were rebuilt in the new fashion. It’s amazing that it has survived in such good condition. I’d arrived in Telc after driving from Cesky Krumlov. This should have been a simple journey, but thanks to the malfunctioning Google Maps on my phone, I ended up in parts of the Czech countryside that have never before seen a tourist. Czech roads get smaller, more remote and more potholed the higher the road number. I realised things were going wrong as I bounced down a road numbered 40614, a route which took me into what seemed to be a farm yard and out the other side again. 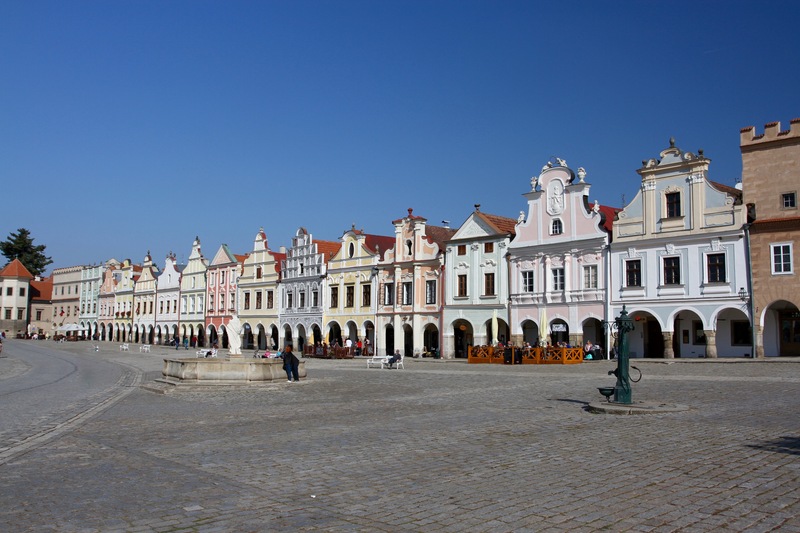 My first sighting of Telc came from across the water that surrounds it on three sides, it was a clear sunny day and the town was idyllically reflected in the water. I found a car park and then walked through the old medieval gateway and down an attractive street. The square suddenly opened up in front of me, the sight was breathtaking. It is truly magnificent. More surprisingly, I was stood in an UNESCO World Heritage Site and there wasn’t a single tour group anywhere to be seen. In fact there were only a handful of people wandering around the square doing their shopping, or having coffee in one of several cafes and restaurants with outside seating. 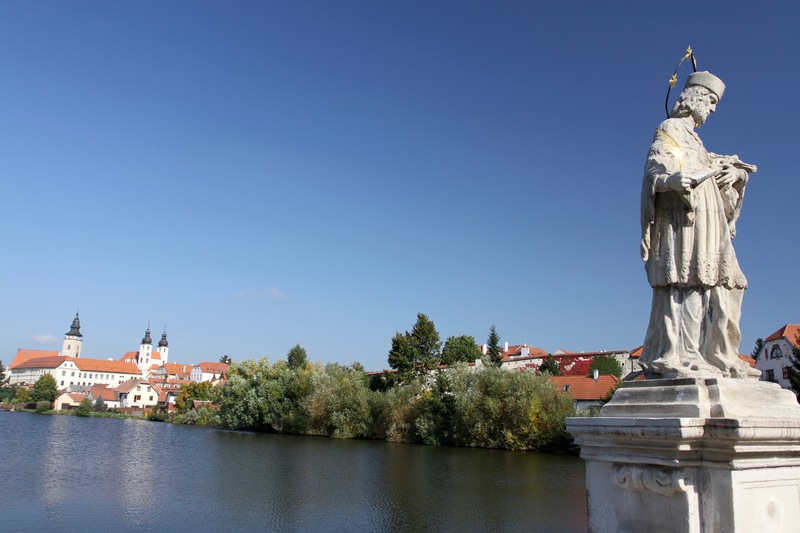 I decided to join them, and took a seat so that I could admire Telc at leisure. Telc isn’t a big place and, after finishing my coffee, I went for a stroll through the back streets and the park that surrounds the old city walls. Less than half an hour later I found myself back in the square. This time there were a few more people. The church wasn’t open but the castle seemed to be. There was no one in the ticket booth so I strolled around the gardens and the interior courtyards. There are tours of the castle buildings, and they’re supposed to be worth taking, but I’d just missed one tour and the next one wasn’t for a while. I came back into the square to discover one half of it had turned into a car park, which definitely took some of the gloss off it. I was on my way to Mikulov, so bid farewell to this majestic place and went south towards the Czech Republic’s wine region.